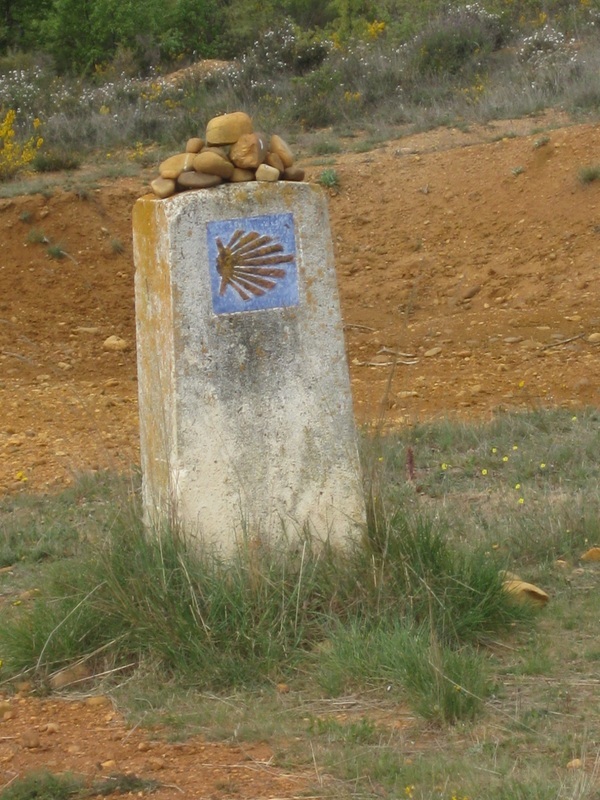 The French route is very well marked with abundant yellow arrows, inlaid brass scallop shells, and masonry and ceramic markers. The role of the guidebook is not so much helping you to find your way as it is to help you to plan your walks and to appreciate sights along the way. Many guidebooks are available for the French Route—but only two comprehensive guidebooks are available in English. We relied on one of them--A Pilgrim’s Guide to the Camino de Santiago by John Brierly—extensively for our 2009, 2011, and 2013 Caminos. It has good information and generally good maps. Some people have criticized Brierly for what they regard as sappy spiritual notes he provides for each stage of the journey. These didn’t trouble us because we hadn’t bothered to read them. One criticism we do have of this guide is that the maps of cities and larger towns are worse than useless—they are more schematics than maps, and attempting to follow them can easily get one confused and lost. 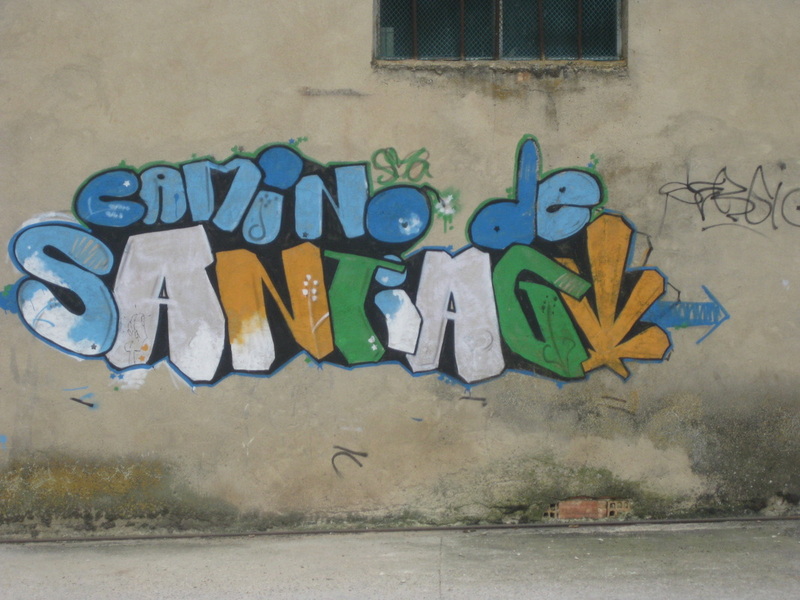 Hiking the Camino de Santiago (a Village to Village Guide) by Dintaman and Landis became available in May 2013. We have obtained a copy, but have not used it. Like the Brierly guide it begins in St. Jean Pied de Port, but unlike Brierly's it leads beyond Santiago to Finisterre and Muxia. It has excellent photographs and maps, and appears to have more information on sites and somewhat less information on lodgings than the Brierly guide. An attractive book, it unfortunately is expensive and relatively heavy. Lacking an English language guidebook for France, we obtained a copy of the French Miam Miam Dodo. A volume for the Spanish part of the route is also available. 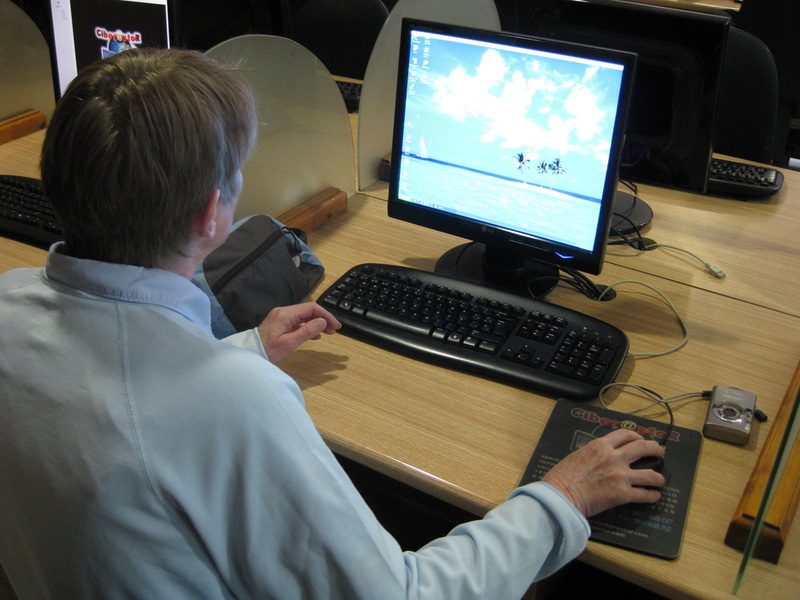 It includes much useful information, including what may be the most comprehensive listing of accommodations available. The maps have been improved in the latest edition, but the text in French limits accessibility. However, you don’t need to be fluent in French to read how many rooms are in a lodging or to understand the phone number. When we have used it we have photocopied the pages we thought we would need and left the rest behind—carrying more than one guidebook is a sure way to weigh down your pack. We are not aware that Miam Miam Dodo is available in the U.S., but can be obtained through the Confraternity of Saint James website. It is not inexpensive and the transit time from the U.K. is long. 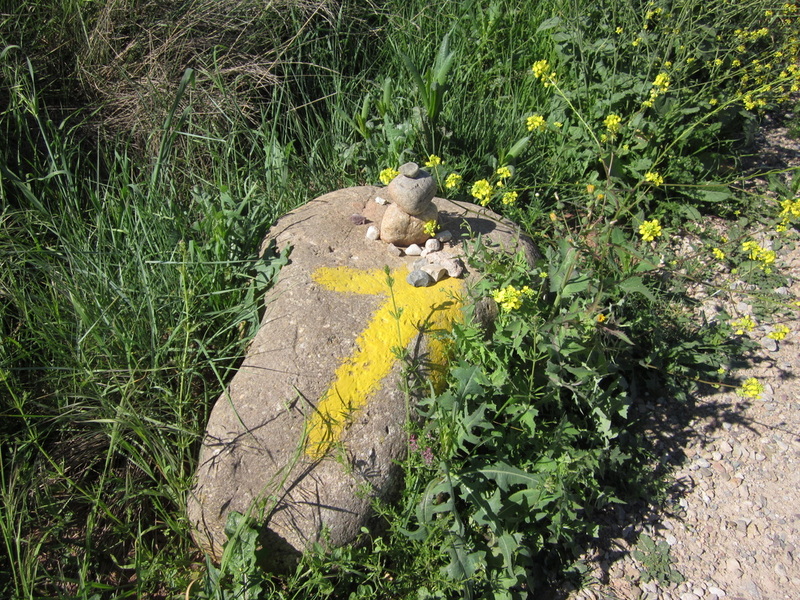 For most of the Camino one is walking on Sendas—paths, carretaras—roads, or calles--city streets. Sendas are most desirable, especially when they are more than just walking lanes alongside highways. 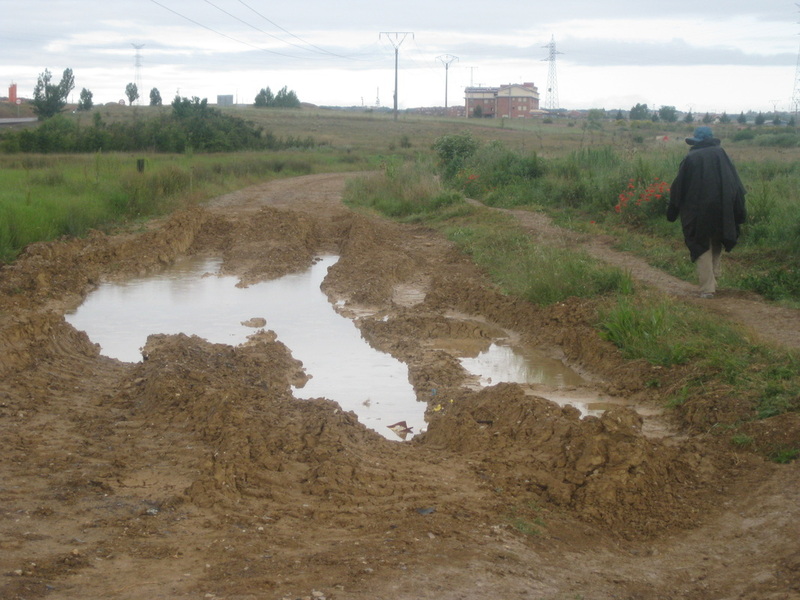 The majority of the roads that carry the Camino are little-used rural roads where one is more likely to encounter farm tractors than automobiles. Unfortunately, certain parts of the Camino follow well-traveled highways, although these are relatively few in number and extent . 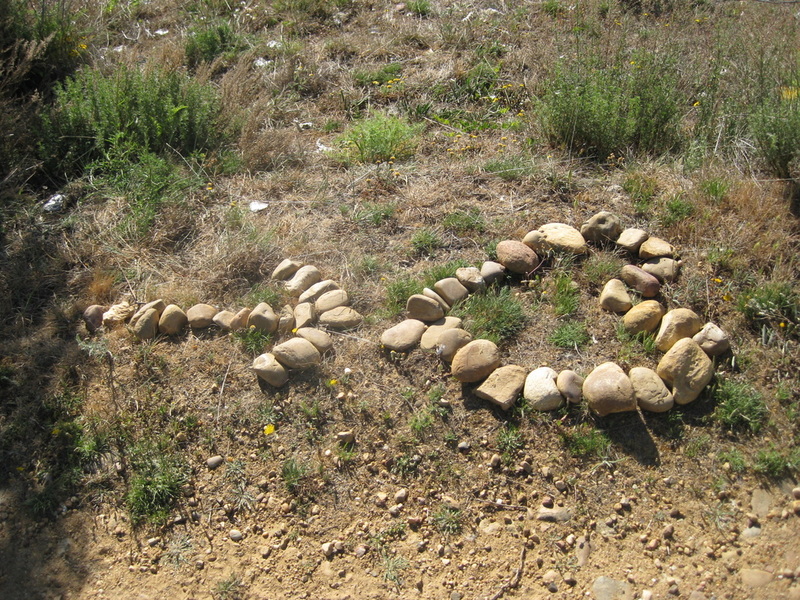 The Camino never goes over real slickrock, but there are places where sturdy shoes are definite asset. In places the sendas are in poor condition, particularly on steep hillsides, where they may be eroded and covered with loose stones. Particularly on downslopes, these stony trails can be difficult and even dangerous. Our daily routine established itself easily, and with obvious exceptions, we sensed that others on the trail were following similar, if not identical schedules. Waking up at 7:00 AM, we would normally get out on the trail by 8:00 or a bit earlier. (In 2012 we began much earlier in order to avoid as much of the heat of the day as possible.) We might leave later if a light breakfast was offered. Planning on an average day to walk 12 miles, and expecting to average two miles per hour, we would expect to spend six hours walking. We would make one or two stops for coffee and snacks when possible, and thus would normally arrive at our destination at about 2:00 PM. That would give us five hours before dinner in which we would rest, do laundry, go sightseeing or shopping, or socialize with other hikers. Our precise mix of activities would depend on where we were. If we were in a city with places to go and sights to see, we would do that. If we were out in the countryside with little to see and do, we would be more likely to spend time with other people, perhaps sipping beers. If we found neither attractions nor congenial companions, and particularly if we had come up short on snacks, we might find a tienda—a little store—and buy the ingredients for a picnic lunch. We would go to bed soon after dinner, usually by 9:00, although sometimes later. In May and June daylight in western Spain has only just begun to fade by 9:00. 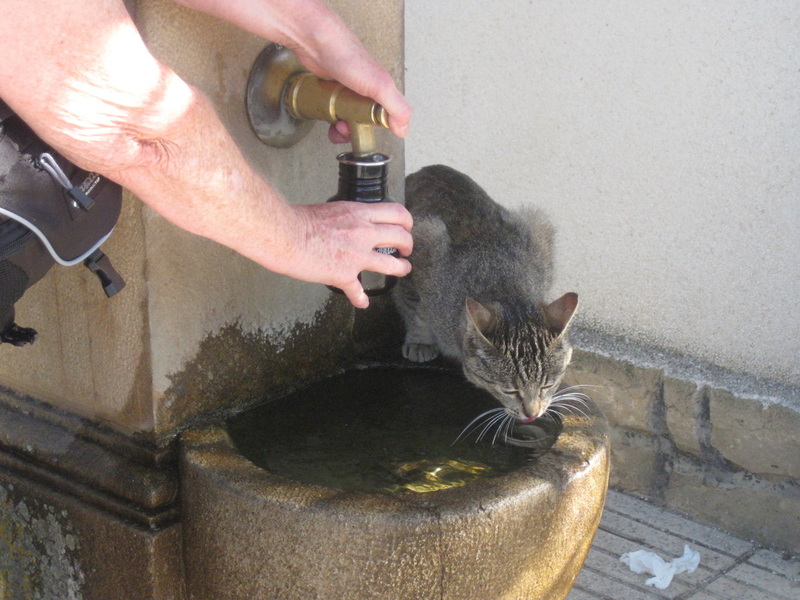 Potable water is available all along the French route, and the locations of fountains are shown on the maps of most guidebooks. This cat was persistent in his desire to share. The dog seemed unconcerned that the water here was not potable. The problem of water and the necessity of carrying it was mentioned in the section dealing with how much can you carry in your pack, but it is nearly impossible to say too much about it. You not only need to carry water, but you need to drink it. You need to drink it even if you don’t feel thirsty, and you need to remind yourself to drink it regularly. We remind each other and try to drink some every hour. Obviously if it is hot and you are sweating you will need to drink more, but even if you are unaware of heat or sweating, you still need to replenish your fluids. The problem is dehydration. Dehydration can be dangerous, causing weakness, loss of balance, light-headedness, muscle cramps, loss of mental acuity, and possibly be life-threatening. And once you begin to feel the signs of dehydration, you cannot simply take a drink of water and instantaneously reverse all its effects. You must maintain the water balance in your body by replacing water as it is lost. 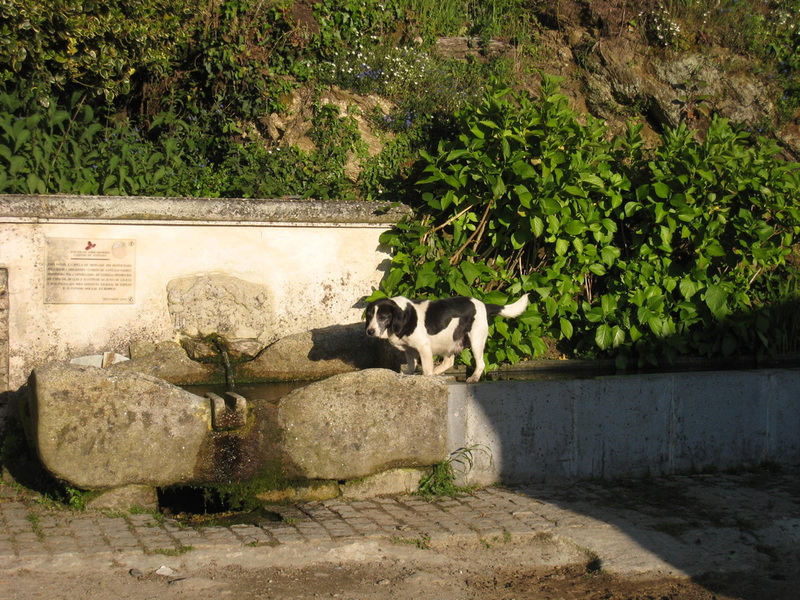 We have found that even drinking as much water as we can on the Camino, we still maintain a state of mild dehydration. That makes it all the easier to become severely dehydrated under difficult conditions. How much water do you need? Conditions vary and one size doesn’t necessarily fit all, but two liters a day might be enough, unless it is hot or the trail is strenuous. Under those conditions you would need more. Rain has been mentioned in the section about selecting gear. 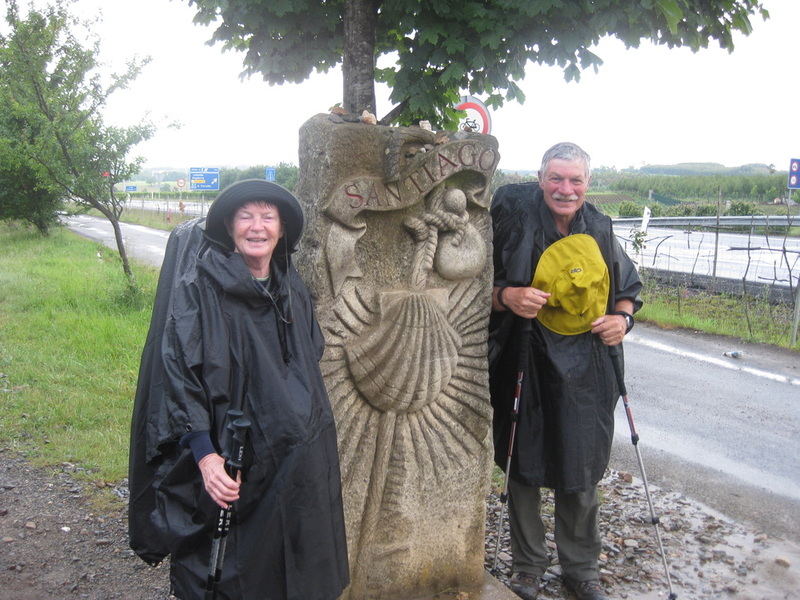 A lucky Camino is one in which the walker has to do with little or no rain, and a having a string of rainy days can make your Camino a dreary one. 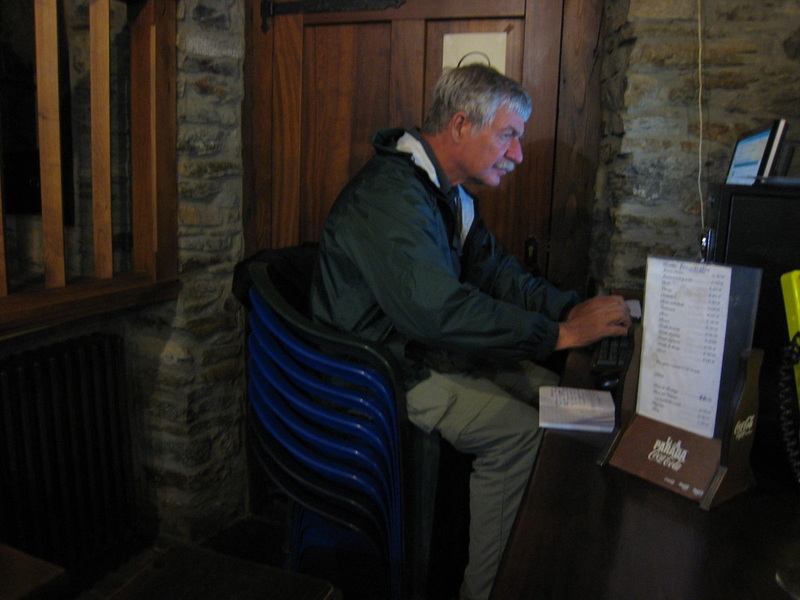 The likelihood that one will encounter rainy days on the Camino is not entirely a matter of random chance. Long term weather records indicate that certain months are rainier than others. In León, for example, in the first half of May 40% of days are likely to be rainy, whereas in the second half the chances a day will be rainy drop to 17%. In September they drop to 12%. In Santiago, closer to the ocean and experiencing a climate similar to Ireland, there is a 32% chance that any given day will be rainy. These figures were obtained from wunderground.com, and other online weather services probably serve up similar data. Again the American Pilgrims web page is helpful. Sunshine probabilities can be predicted using the same sources of weather information. 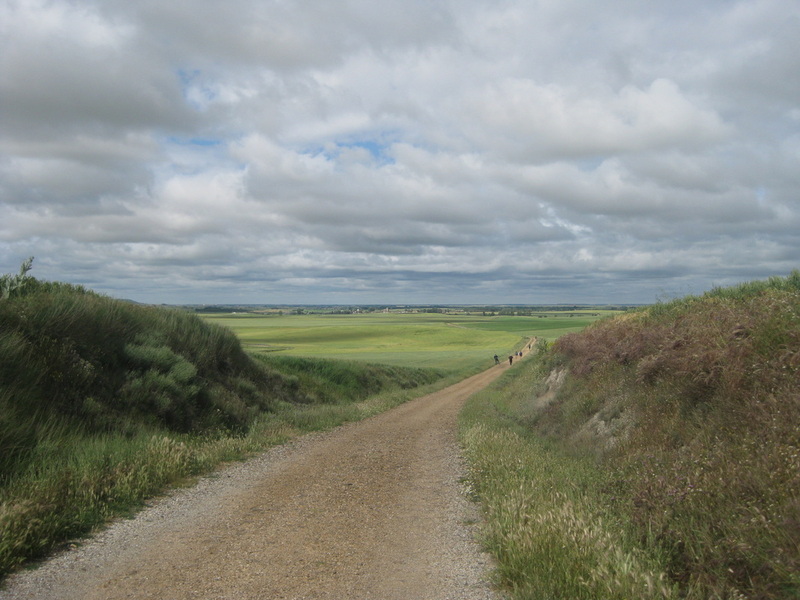 In León, somewhat near the midpoint of the French route in Spain, the chance that any given day in May will be sunny is 51%, whereas in September it is 69%. Persons sensitive to sunshine should be equipped with a broad-brimmed hat and sunglasses if needed. It has been noted by many walkers on the Camino that sunburns and suntans are not evenly distributed on the body. Since one is almost always moving in a westerly direction, the sun falls mostly on the left side. One advantage we found walking on the Via de la Plata is that one can clearly see the sunrise off to the right, whereas on the French route, the sun rises behind you. Walking long distances for many days causes wear and tear on the body. The knee that felt a bit sore after a twelve mile walk is not likely to feel any better after you’ve walked twelve more miles the next day. 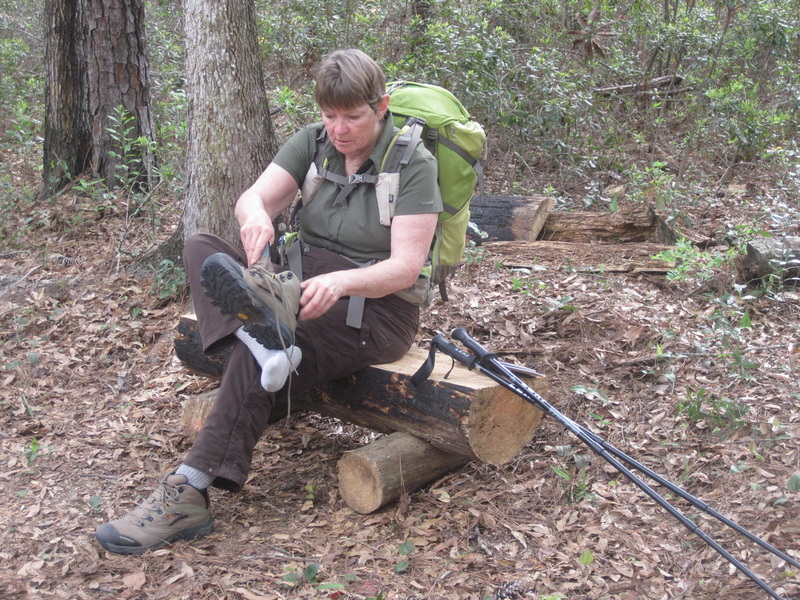 Knees and feet are the biggest problems in our experience and, with many others seen along the trail, we have from time to time worn elastic knee braces, which are sold at pharmacies all along the way. Common foot problems, aside from blisters, include black toenails injured by constant collision between the toes and one’s boots, and various kinds of pain and numbness caused by pinched or irritated nerves. We have also experienced sciatica, causing pains that course from the back, through the hip, and occasionally all the way to the heel. Ours have been worse when sitting and, from all we could tell, were just another consequence of asking our bodies to do things they were not used to doing. Peg suffered from plantar fasciitis in 2013, a problem that began in training, persisted through the Camino, and has not yet completely healed. We have been fortunate not to have suffered from tendonitis—a common ailment of distance walkers. After walking 300 miles in 2011, we felt banged up, and we marveled at the people who can walk the whole 500 miles or farther. We don’t recommend it for daily use, but when suffering from the kinds of problems described above, we strongly recommend ibuprofen (ibuprofeno in Spanish). It does not abolish aches and pains, but in our experience it does make them more manageable. Also in Spain you can purchase ibuprofen cream to rub on your sore knees or muscles. Our best advice about blisters is to try not to get them (see above in the discussion of footwear). Since our only blister was cured by new footwear, we can only offer limited advice on how to treat them. We can say that, having seen examples of blistered feet on the Camino, they can be a very serious problem. 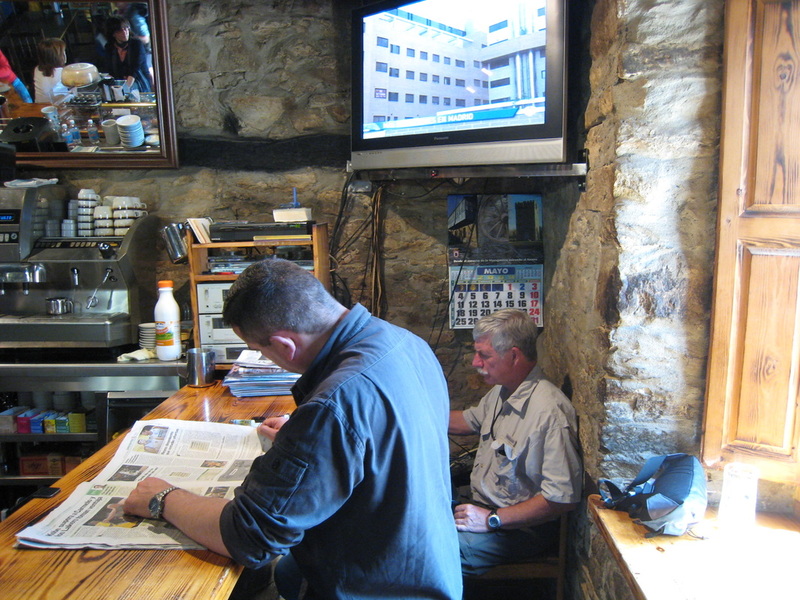 Various treatment methods have their devotees, and a variety of products are available in pharmacies along the Camino. We have seen people with badly blistered feet walking in flipflops, with great difficulty and discomfort, and we have spoken with people who have had to interrupt walking for days or weeks for the blistered feet to heal enough to go on. If you feel a hot spot that might turn into a blister, stop and treat it. Put on dry socks, bandage the spot, do something. Don’t just hope it won’t become a blister. Some folks we know have gotten viruses, presumably on the long plane trips on the way to Spain. We’ve had some mild to moderate colds, but they haven’t slowed us down appreciably. Also some friends have suffered from digestive problems, perhaps food poisoning resulting from overage tapas. They recovered too, after a day or two of relative misery. Other hazards are few, but we can’t toss them off without mentioning bedbugs. These pests are common along the Camino as they are elsewhere around the world, having developed resistance to the formerly most effective pesticides. We treat our sleeping bags and backpacks to a coating of permethrin, a synthetic pyrethroid insecticide related to the natural pesticides in chrysanthemums. 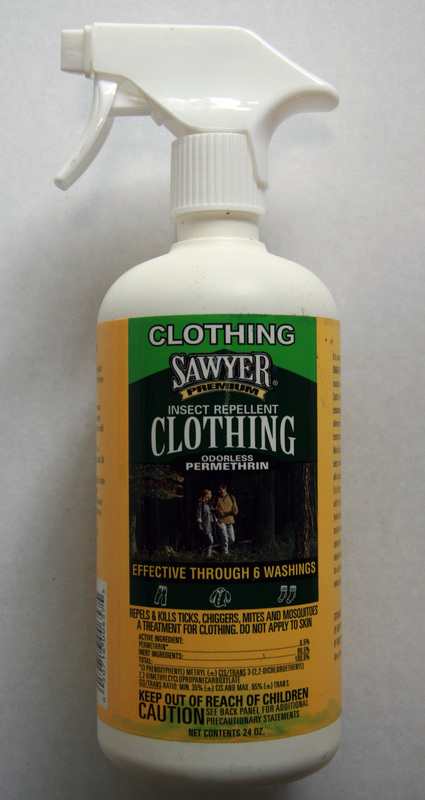 (Caution when treating your gear: Liquid permethrin is toxic to cats.) Applied to gear, it appears to act primarily as a repellant, although we have yet to find actual documentation that it is effective against bedbugs. Once infested with bedbugs, gear can be disinfected by a heat treatment, best administered in a clothes dryer, or lacking one, being placed in a black plastic garbage bag and exposed to the hot sun. 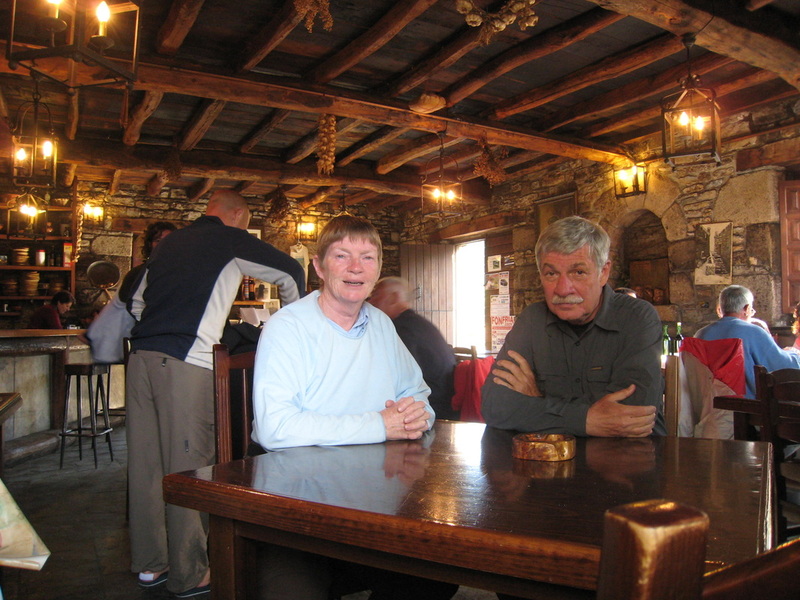 Before we went on our first Camino we were advised that cellular telephones weren’t necessary, because pay phones are common, and one need only buy a prepaid phone card to stay in touch. We never got to try this, but over the past five years we have noted fewer and fewer pay phones along the Camino. Cellphones are so common, that we suspect in a short time there will be no pay phones at all. A couple we know did not bring a cellphone and encountered the problem that pay phones were too few and far between. This was difficult, because they wanted to reserve ahead for each day’s lodgings. 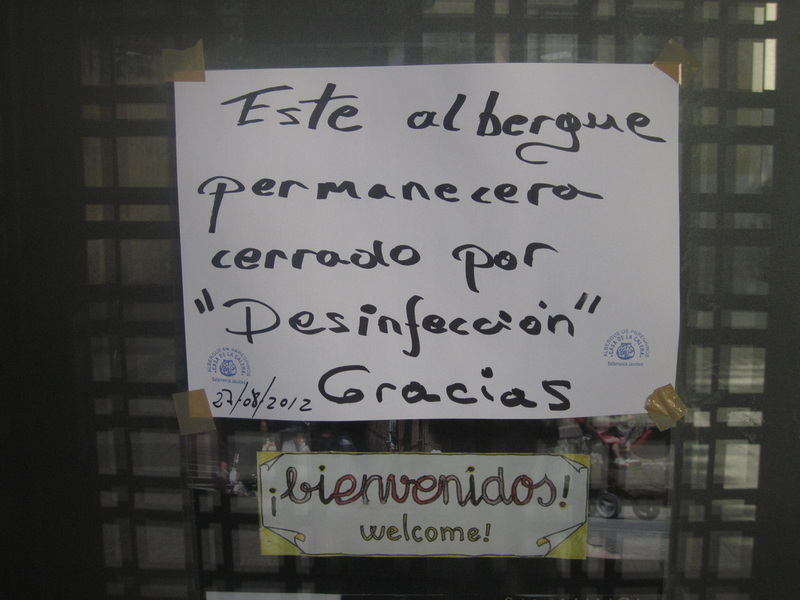 They addressed the problem by cajoling the proprietors or hospitaleros of the places they were staying to call ahead and make reservations for them. For our first Camino we got a neat little cellphone that would work in Europe (Most U.S. cellphones use a different technology and will not work in Europe; find out from your provider whether your phone will work before bringing it with you.) The little phone we got from a company called Telestial cost less than $50, and we could call anywhere in Europe for about $1 a minute. We could call the U.S. inexpensively, and people in the U.S. could call us inexpensively. We didn’t do any of those things, and used it very little that first year. 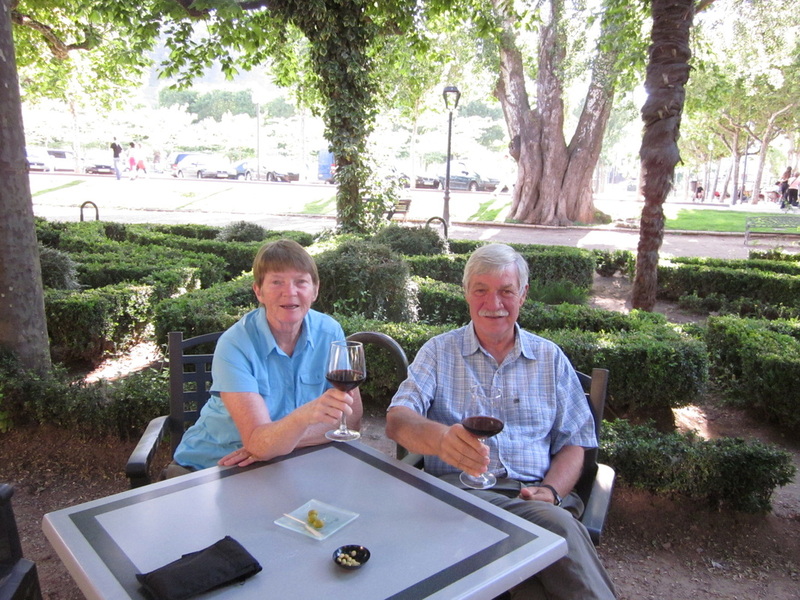 The following year we used it frequently to call ahead for reservations, and it worked very well for us. 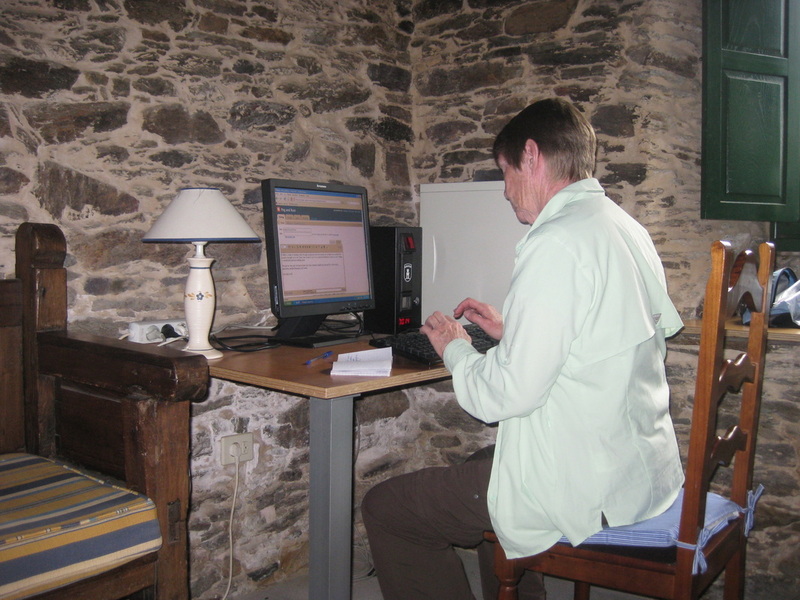 And after returning that second year we loaned it to a sister and brother-in-law, who used it when they were on the Camino. Alas, things change, and by 2010 it seemed that everybody was getting on the smartphone bandwagon. We got Blackberries, making sure to get the models with the built-in SIM cards that would let them work in Europe. In 2011 we used them as phones, used them to monitor our e-mail (things were very slow in our little business, but we felt we couldn’t be completely out-of-pocket), we posted to our blog to keep family and friends up-to-date on our progress, and we often checked weather forecasts so we’d know how to dress before going out in the morning. Without venturing an opinion on whether these activities degraded the quality of our Camino experience, in the end they proved to be more expensive than expected (about $100 for one phone and $25 for the other), and far beyond the modest costs for our little Telestial phone. 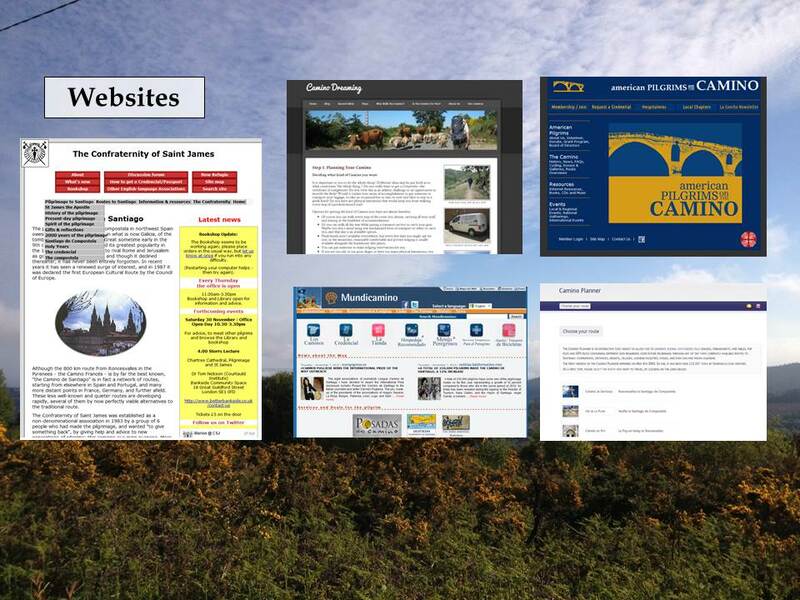 For our 2012 and 2013 Caminos we had upgraded to iPhones, and were able use an online guide to the Via de la Plata, to use a nifty English and Spanish translator application, to get GPS data on locations and distances, to read Kindle books, including a guide to the route we had purchased. Again, the service was not inexpensive, although we got it down to $75 and $50 for the two phones. We avoided some of these costs in 2013 by turning off the 3G (cell tower) service except when necessary, and did most work with the phones in WiFi hotspots, which will not incur data costs. By the way, the most high-tech 4G cellphones available in the U.S. don't work in much of Europe. In 2011 we brought along e-readers. These added weight, were little used, and we resolved not to do it again. Any question became moot when we go the iPhones, which offer the same services, albeit on much smaller screens. We expect that Android and other systems would do at least as well. 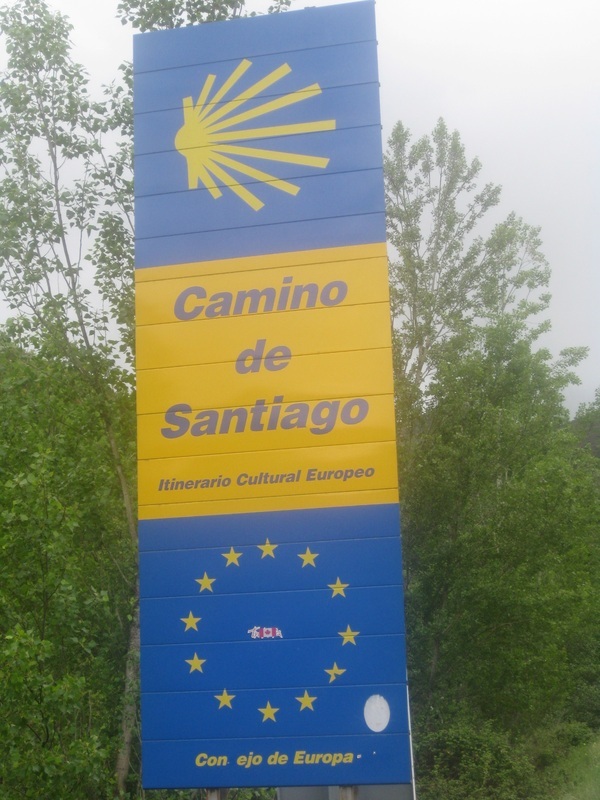 Is it possible to get lost on the Camino? Of course it is. Try as you may, it is relatively difficult on the French route, however. 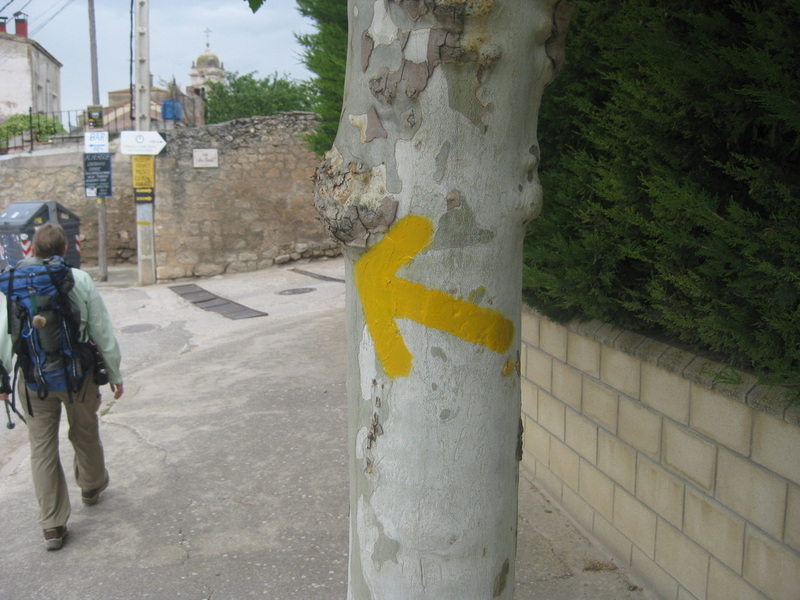 Yellow arrows and other markers are frequent, and usually other walkers will give you clues as to which way to go if you become temporarily confused. You don’t need a GPS or detailed maps. As mentioned earlier, the purpose of the maps in guidebooks is more attuned to decision-making than helping you to find your way. Finding your way in cities may be more challenging than it is in the countryside. 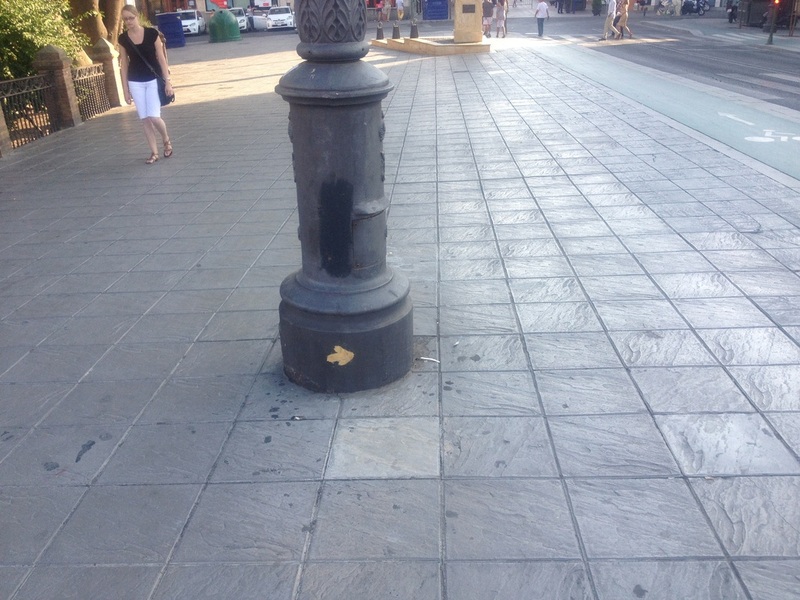 Busy city streets have many distractions, and markers may be difficult to spot. Also, navigating around complex intersections may be challenging; you might be expecting to go straight ahead when you are directed to turn to the right, soon discovering that the purpose of the turn was simply to direct you to a crosswalk. We have found many helpful people who were eager to help us find our way, even when we’re perfectly sure of the way we should be going. One time in France we had a choice of two routes. One was an easy way that followed city streets up a hill, and the other, the so-called “sportif” route required scrambling up over a steep rock ledge. Deciding on the easy route, we had just begun when we were flagged down by a postman in a little van. He told us that we were going the wrong way—the right way was up over the rock ledge. We knew what we were doing, but he was insistent in his desire to be helpful. Rather than try to leap the language barrier and explain to him what we were doing, we took his advice and crawled up over the rocks.